I am currently doing an Alaskan tour of six cities in seven days, working with educators in a state-wide, publicly-funded charter school system. Even though it is cold, it is a lot of fun. 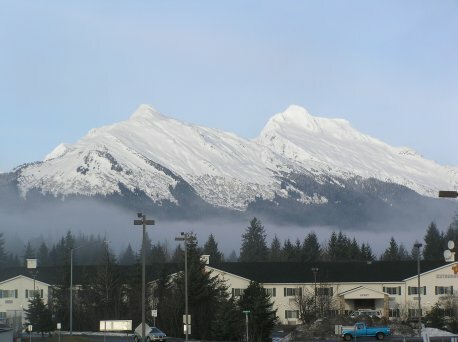 Alaska is beautiful, and the charter school system is excellent. It is great to see quality education occurring in such a novel way. Because airplanes are the main way one gets from city to city in Alaska, I have been spending a lot of time sitting in airports, on tarmacs, and occasionally on an airplane that is actually flying. As a result, I have been doing a lot of reading. I came across an interesting article in Science Science News today1, and I think it is a great illustration of something I stress in most of my science books. For several years now, scientists have been using functional magnetic resonance imaging (fMRI) to observe functioning brains. The main technique involves using a magnetic resonance imaging machine to look for small changes that occur within the blood vessels of a person’s brain. The very reasonable argument proposed is that the more active a neuron is, the more blood it needs. Thus, if the fMRI sees an increase in blood flow to a particular region of the brain, the neurons in that region must be more active. So…a subject is stimulated in some way, and the fMRI looks for increases in blood flow. Any region of the brain that “lights up” must be the region that is responsible for either processing whatever stimulus was provided or producing a response to it. Several hundred papers have been published discussing the results of all manner of fMRI experiments, and they have made all sorts of definitive conclusions regarding what regions of the brain are responsible for processing various stimuli or producing various responses to those stimuli. Well, Craig Bennett wanted to see how reliable fMRI experiments are, so he decided to do a very simple baseline test. He used fMRI to study the way a dead fish’s brain responds to stimuli. 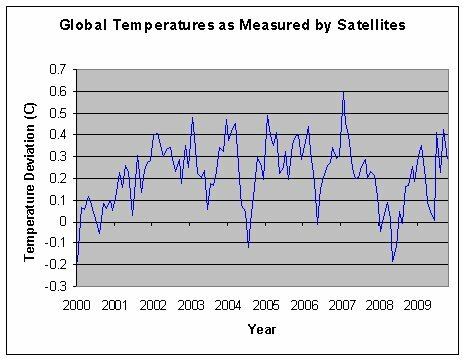 Projections of global temperatures given by several GCMs in 2000. Published under the GNU Free Documentation License, http://en.wikipedia.org/wiki/Text_of_the_GNU_Free_Documentation_License. 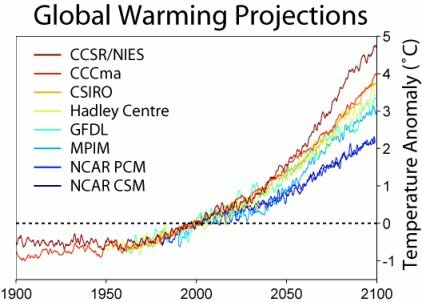 So why have the computer model projections fared so poorly when compared to what has actually happened so far? Well, it seems that one of the real luminaries of climate science, Richard Lindzen, has found at least part of the answer to that question1. In the first part of my review of Dr. Bradley Monton’s Seeking God in Science: An Atheist Defends Intelligent Design, I discussed Dr. Monton’s excellent defense of intelligent design as a legitimate scientific pursuit. However, I also mentioned the fact that his book makes me somewhat uncomfortable. I want to address that now. First, Dr. Monton’s sharp intellect makes it hard for me to forget that there are intellectual atheists out there. Most of the “new atheists” are such buffoons that it lulls one into the false idea that atheists are mostly irrational. While this may be true about many atheists, it is certainly not the case for Dr. Monton. The blog starts out like most blogs that are uninterested in finding out what science really says about origins. Dr. O’Brien claims that in this blog, I repeat “the same worn out creationist canards throughout his site but obscures them within a cloak of scientific-sounding vocabulary.” This, of course, is nonsense. It is an attempt to sidestep the science and hope that no one notices. It is a common rhetorical technique, typically employed by those who do not have the courage to face opinions that contradict their own. Wile apparently believes this is sufficient for an instructor like me to start teaching ID in the classroom as a reasonable alternative to evolutionary theory. This, of course, is also nonsense, and it shows that the author should stop making assumptions and actually start reading what he claims to have read. In part 1 of this review, I told you the things I liked about Genesis and The Big Bang by Dr. Gerald L. Schroeder. Now I want to move on to the things I didn’t like about the book. As I already mentioned, Dr. Schroeder seems firmly committed to the Big Bang model, despite its many problems. However, that’s not my main concern. While there are a lot of problems with the Big Bang model, there are some data that support it, so it is not irrational to choose to work with that paradigm. My problems with the book go much deeper than that. I have two problems with this statement. First, there are many more than four ancient Jewish theologians who have “withstood the test of time.” I am not even Jewish, and I can name several more off the top of my head: Philo Judaeus, Akiba ben Yossef, Saadiah ben Yosef Gaon, Abraham ibn Daud, etc., etc. Dr. Gerald L. Schroeder is a very original thinker. I recognized that when I read one of his previous books, The Science of God. Dr. Schroeder holds an earned PhD in physics and earth science from MIT and currently is an international consultant on radioactivity and a faculty member at Aish HaTorah College of Jewish Studies in Jerusalem. As an orthodox Jew, he takes the Old Testament very seriously. He believes that the days in Genesis are definitely 24-hour days, but he also believes that the earth is billions of years old. In fact, his writings indicate that he is a theistic evolutionist. In The Science of God (and in this book), he gives us the answer to that question. He says the reference frame is not that of earth. Indeed, earth doesn’t become the focus of the creation account until after a couple of days pass. As a result, he thinks that the reference frame in which the Genesis days are defined is that of the universe as a whole. This produces an interesting effect. Josiah, a frequent commenter on this blog, asked an excellent question in a post on my previous entry. I started to reply to his question, but I realized the answer would make a good blog entry. Josiah asked whether or not “cooperative relationships in the animal world” are a problem for evolution. He doesn’t think so, but the author of one of his homeschool books thinks it is. What do I think? Well, let’s start with the terminology. A relationship between two or more individuals from different species is called symbiosis. However, that word has grown to refer to different kinds of relationships. It can refer to a relationship in which all participants benefit, a relationship in which only one participant benefits but the others are not harmed, or a relationship in which one benefits and another is harmed. Thus, to specifically talk about cooperative relationships, we use the term mutualism, which refers specifically to a relationship in which all participants benefit. Josiah mentioned a couple of examples of mutualistic relationships. One was the tick bird, which eats ticks off a rhino’s skin. This is beneficial to the rhino, which becomes relatively “tick free,” and it is obviously beneficial to the bird, as the bird has a fairly safe place to find food. The tick birds also warn each other (and the rhinos) about any incoming danger. The other example was the single-celled protistans (flagellates) that live in a termite’s gut and digest cellulose. The termite (indeed, all multi-celled animals of which I am aware) cannot digest cellulose on its own, and since wood is 50% cellulose by mass, this would be a problem for an animal that eats wood. However, the flagellates in a termite’s gut digest the cellulose, which allows the termite to eat wood. Obviously, both participants benefit in this relationship. Are these kinds of situations a problem for evolution? Even when special circumstances are present, the molecules that make up soft tissue are not supposed to last for 65 million years. A multidisciplinary approach to the problem of biomolecule decay in fossils led to the conclusion that under nearly ideal conditions, DNA should decay to the point where it becomes undetectable in just 125,000 years, and collagen (a protein) should decay to the point where it becomes undetectable in just under 3 million years. 4 Nevertheless, Schweitzer and her colleagues found collagen in a bone that is supposedly more than twenty times as old. As much as old-earthers would want what Schweitzer and her colleagues found to be anything but soft tissue, her results are now unequivocal. First, Schweitzer has found soft tissue in another dinosaur fossil that is supposed to be 80 million years old! 6 In addition, another group has made a soft tissue find, and in my opinion, it is even more remarkable.